Chateau Ste. Michelle's Concert Series - Write for Wine: It's Wine O'Clock Somewhere!Write for Wine: It's Wine O'Clock Somewhere! 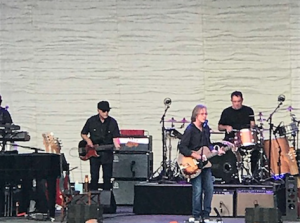 We thoroughly enjoyed the music of Jackson Browne at the end of July – his music paired so well with the beautiful wines of Chateau Ste. Michelle. Whether you prefer white, rosé or red wine, this concert calendar is something to cheer about. Sept. 15: Lyle Lovett & his Large Band. 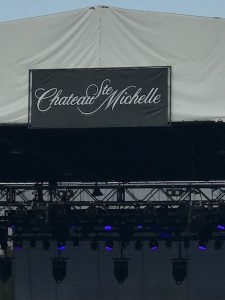 We always enjoy this annual event; of note, net proceeds from the annual concert series help fund Chateau Ste. Michelle’s charitable contributions program, which supports a broad range of non-profit organizations. 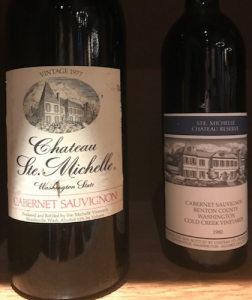 This entry was posted in Washington, Wine, Wine Events, Woodinville and tagged Chateau Ste. Michelle, Events, Washington wine, Washington wineries, wine, wineries, Woodinville by Margot. Bookmark the permalink.